Memory loss is often associated with being a normal part of the aging process. Forgetting where you put your keys or why you walked into a certain room are what people call “senior moments,” and these momentary lapses of memory commonly occur in our later years. However, when memory loss worsens and begins to cause disruptions in everyday life, this could be one of the first signs of Alzheimer’s disease. Seeking professional help at the first Alzheimer’s warning signs is key to early detection and proper treatment. While there is currently no cure for the disease, quality of life can be maintained and even improved with treatments that can slow the onset of symptoms. This is why it’s so important for loved ones or caregivers to recognize the signs and symptoms of Alzheimer’s disease. According to the Alzheimer’s Association, 1 in 3 seniors each year dies from Alzheimer’s disease or other dementia, making it the sixth leading cause of death in the United States. As the number of people age 65 and older increases within the next several years, the amount of people diagnosed with Alzheimer’s disease is also expected to increase. The symptoms of Alzheimer’s disease can vary based on the individual. Also, risk factors like age, genetics and family history as well as issues like high blood pressure or cholesterol, diabetes and stroke can all increase the chances of developing Alzheimer’s. Disruptive memory loss: Forgetting important loved ones’ names, dates, events or information recently learned are memory issues that affect everyday life and should not be ignored. 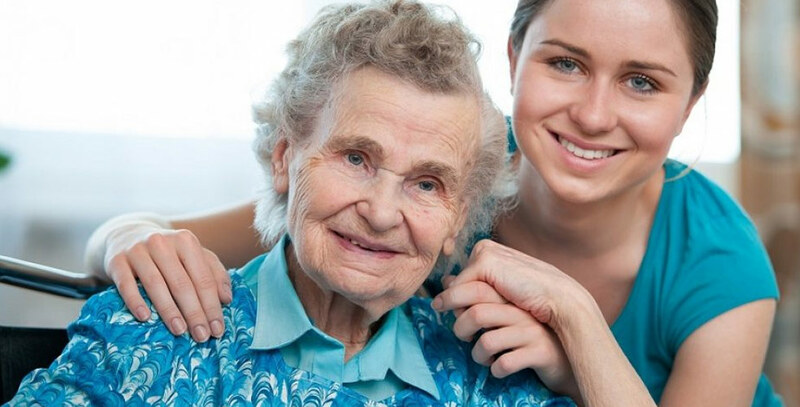 You might also notice your loved one may be relying on you more and more to help them remember appointments or are leaving reminder notes all around the house to stay on top of things. Personality or mood differences: Sudden changes in personality like being suspicious of others, anxious, fearful, depressed as well as experiencing severe mood swings could all be warning signs of Alzheimer’s. Time and spatial confusion: Someone with Alzheimer’s may forget what day, month or even season it is, and even the most familiar surroundings can start to seem strange. Forgetting how they arrived from point A to point B becomes common or losing track of time altogether are common issues. Trouble completing everyday tasks: Your loved one may have difficulty remembering the rules to a favorite card game, and things like cooking, balancing a checkbook or driving to familiar locations can start to become challenging. Evidence of poor judgment and decisions: Spending money on useless items or unnecessary groceries can indicate your loved one is exhibiting poor judgment. Your loved one may also not pay attention to grooming and hygiene as well as they used to do. Difficulty solving problems: Another early sign of Alzheimer’s is having issues solving problems or making plans, such as figuring out the logistics of a weekend trip. Communication issues: Forgetting words or even creating a new word altogether to replace those they can’t remember, calling someone by the wrong name repeatedly, or following along in a conversation are also signs of Alzheimer’s. Many sufferers struggle with vocabulary and have trouble expressing their thoughts clearly. Social withdrawal or isolation: When your loved one starts to pull away from activities they once enjoyed with friends or lack motivation to be around others, this is could be due to memory issues. It may seem too difficult to remember names, social etiquette or the rules to a board game. Don’t ignore these Alzheimer’s warning signs; the sooner you seek medical attention, the better quality of life your loved one will enjoy. For more information about personalized memory care near Denver at Mountain Vista, please click here. Or, call 303-421-4161 to schedule a tour.